The Imperial Service Troops Army List was published bi-annually between July 1915 and July 1921 after which it became the Indian States Forces Army List. The Imperial Service Troops Army List was dated either the 1 July or 1 January and eleven volumes were published over the six year period. The only volume not published was July 1920. 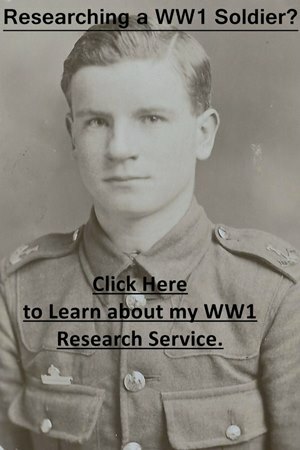 I have looked at the post-July 1921 volumes on my Second World War website: Indian States Forces List. A unit’s entry will also record when it was raised, what its strength was, the colour of its uniform, facings, unit centre and any battle honours. 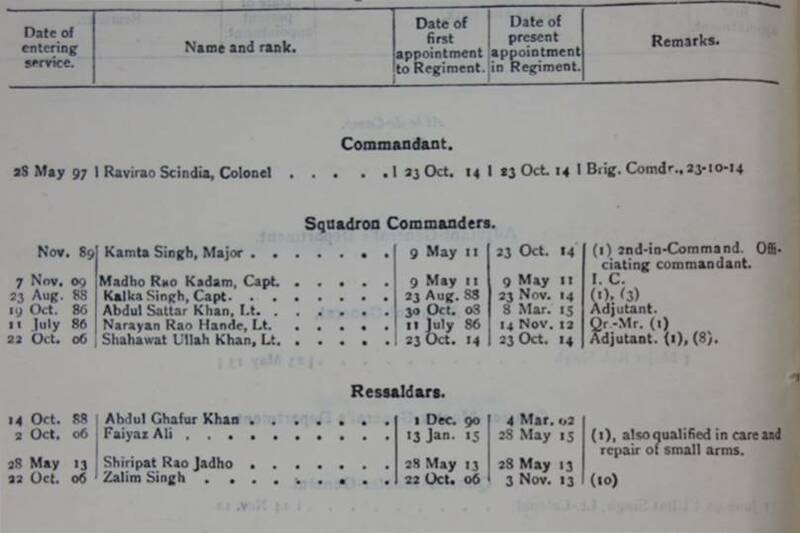 Below is a page showing some of the officers serving with the 1st Gwalior Lancers in the July 1915 Imperial Service Troops Army List. To be taken to the relevant entry for the lists on the British Library’s catalogue click here. Then click on the browse collection tab.